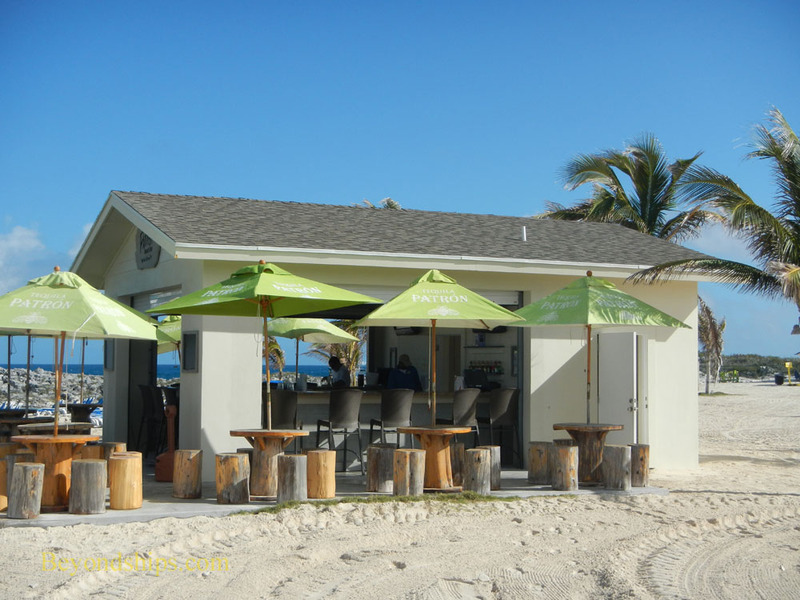 GSC now has several bars. 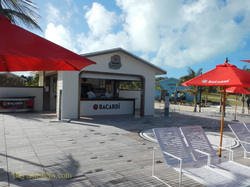 The flagship bar is the ﻿Bacardi Bar﻿ (left and above) with its patio and elegant umbrella shaded tables. 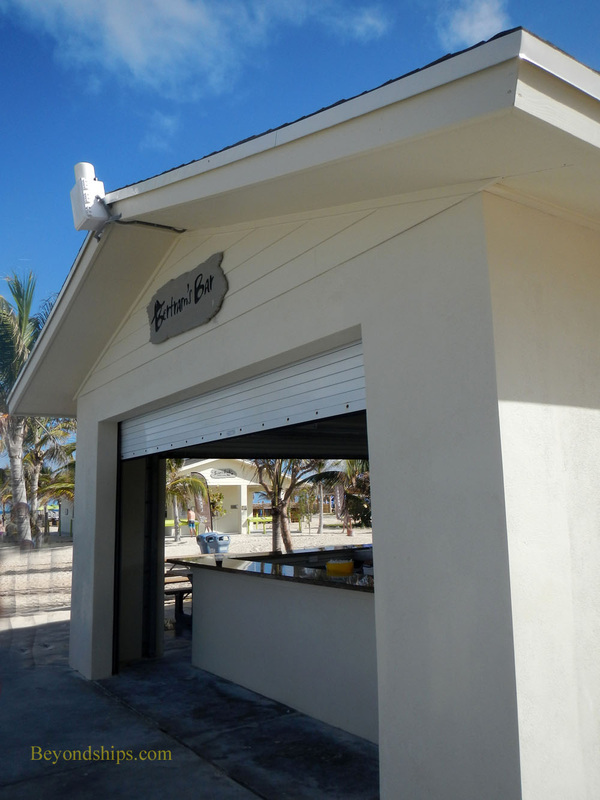 Also serving the original beach area are the more utilitarian ﻿Patron Bar﻿ (below) and ﻿Bertram's Bar﻿ (right). 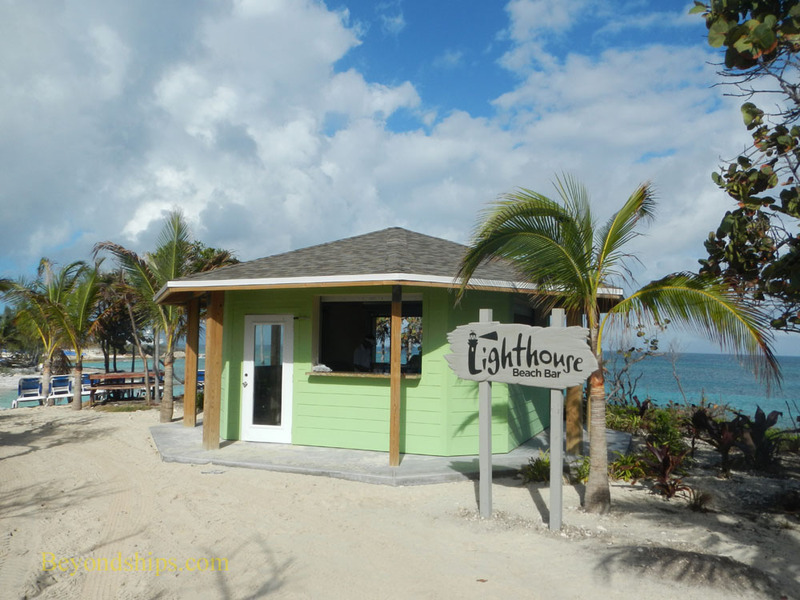 There are also bars serving the new beaches: the ﻿Lighthouse Bar﻿ (below) and the ﻿Bobolink Bar﻿ (right). 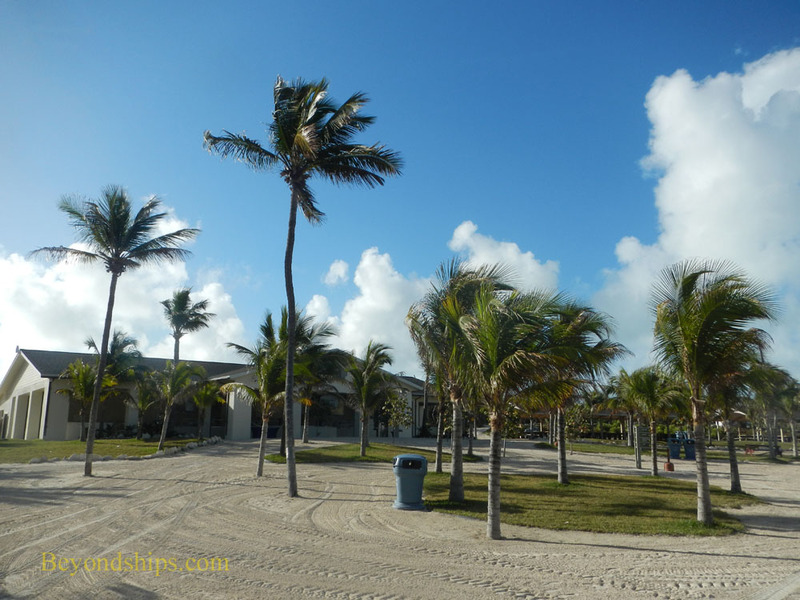 GSC's dining complex is centered on a rise behind the main beach area. 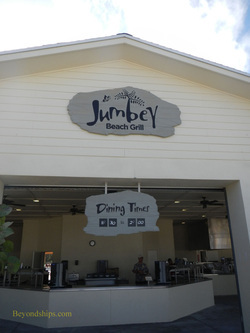 Food is prepared and served buffet style in ﻿Jumbey's Beach Grill﻿. 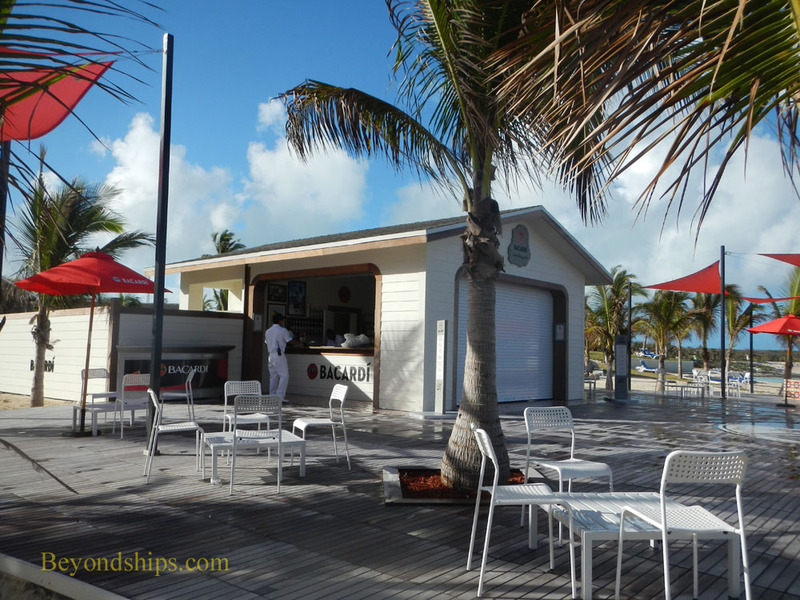 Jumbey's also contains a bar. 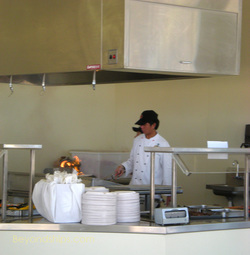 On each visit, the ship's crew prepares a beach barbecue. 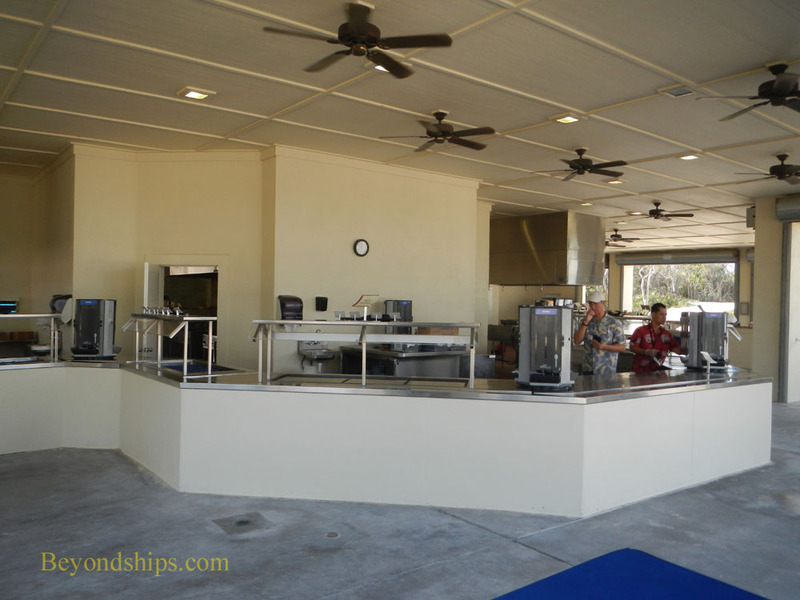 There is also a buffet of dishes that were prepared on the ship and brought over to the island. 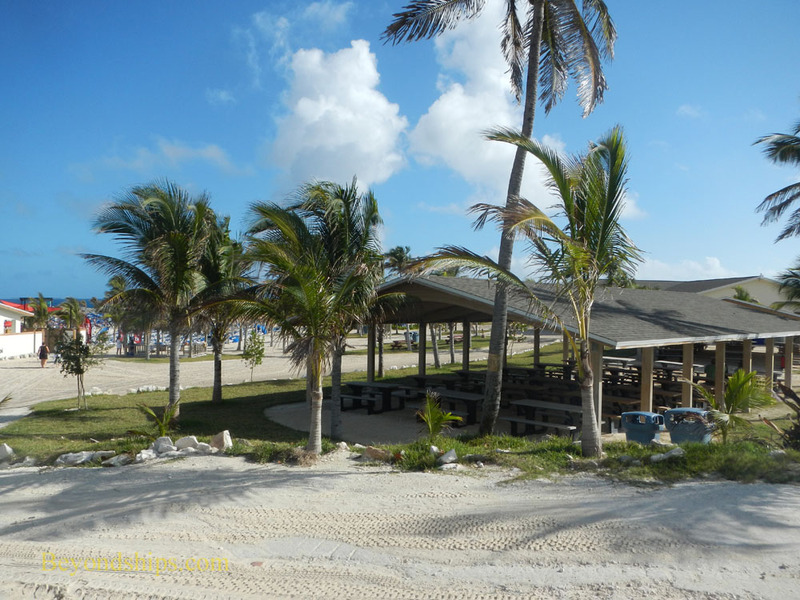 Flanking Jumbey's on either side are pavilions with picnic tables. 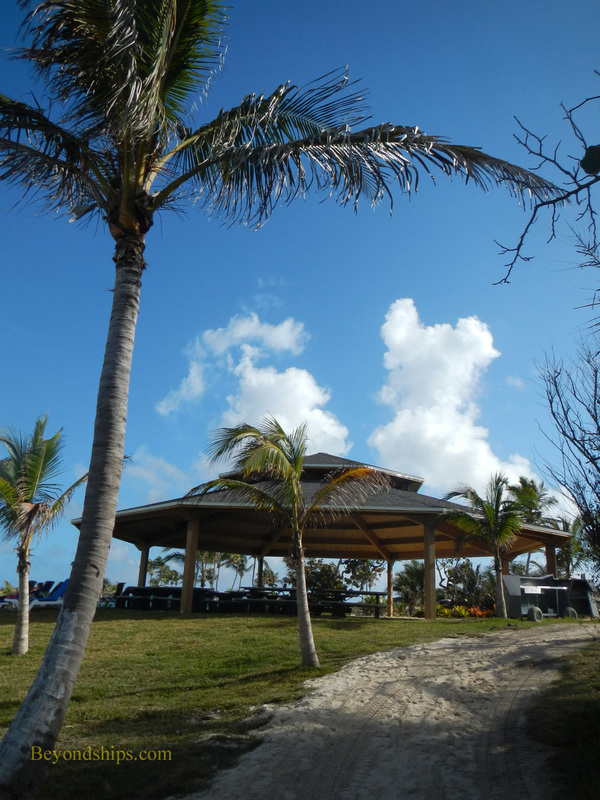 There is also a pavilion on the hill between the original beach area and the Cabana Beach area. 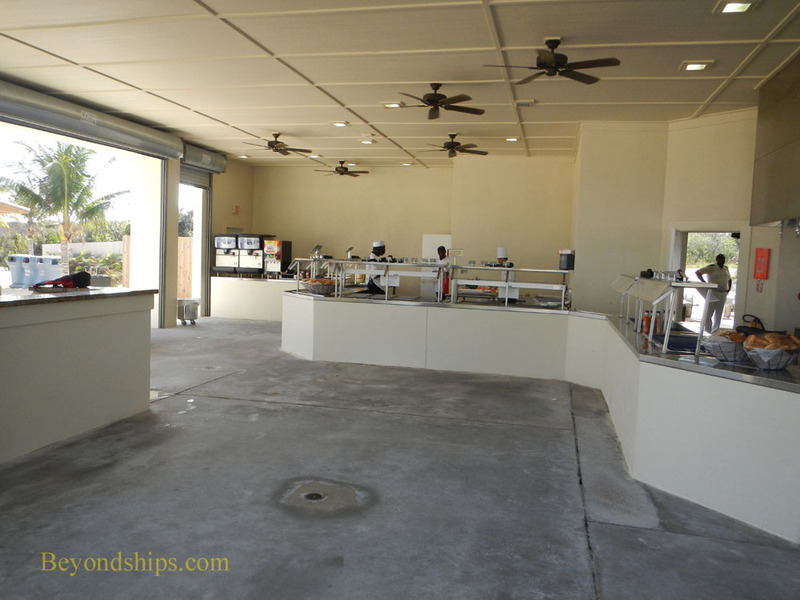 Next, we go back in time and see the way GSC used to be.